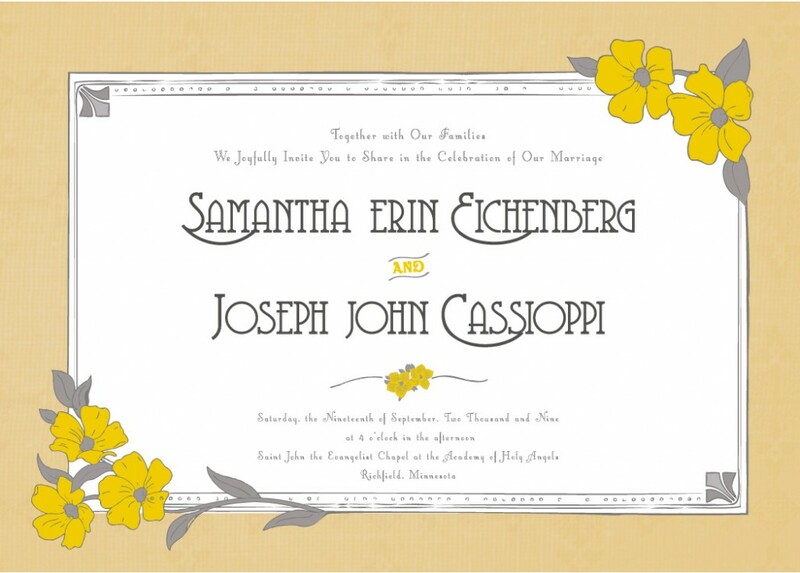 We don’t often do work for individuals, but when lovely Samantha Eichenburg called me up and asked if we’d design her wedding invitations, we could hardly say no. 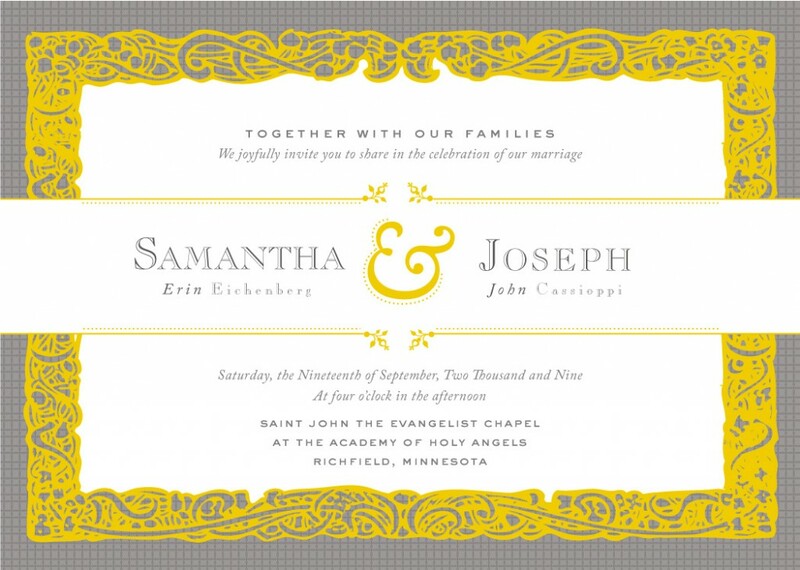 Samantha’s vision was an invitation mailer with RSVP card that reflected a 1920s vintage feel that fit with their choice of venue—an historic supper club in Northeast Minneapolis. She requested gold and silver to match her wedding colors, and a sense of traditional elegance. A mixing of classic fonts, ornate, Roccoco-era borders, and updated colors (pewter and gold), create a balance between classic and contemporary. The Italian-inspired ornaments are a nod to the country where you met. Retro to the Art Nouveau period, this concept feels like a perfect pairing with a reception at Jax Cafe. Fonts and decorative flourishes suggest the period, and a subtle linen pattern in the background adds a layer of texture. Muted colors and copious white space suggest updated elegance. 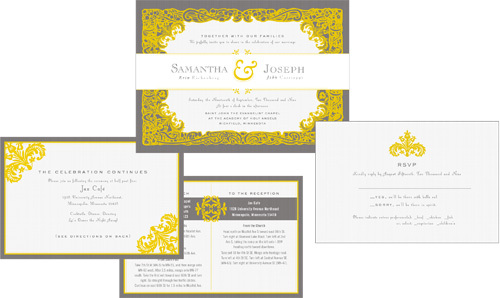 Selected invitation: one-sided invitation, two-sided reception card, and rsvp card. Bride and groom were pleased with completed pieces, and we had gained a new appreciation for an historical era past. This entry was posted on Thursday, January 12th, 2012 at 12:00 pm and is filed under Design Tricks and Tips. You can follow any responses to this entry through the RSS 2.0 feed. You can leave a response, or trackback from your own site.